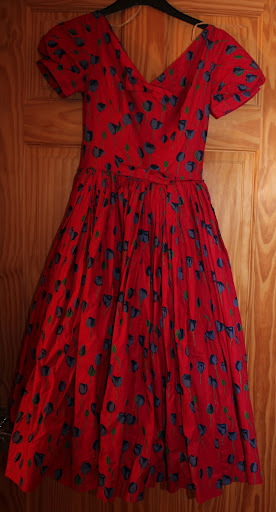 I simply MUST MUST MUST share the latest dress added to my collection! 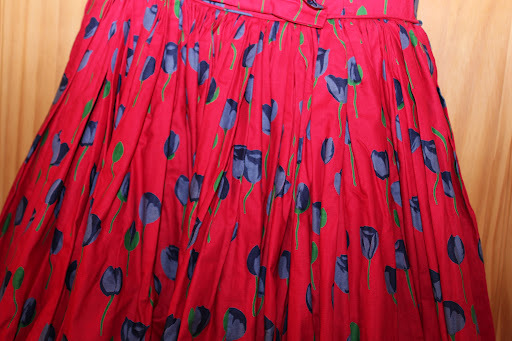 I saw this come up on Ebay a few weeks ago and when i saw the waist measurement (23inches I.e. 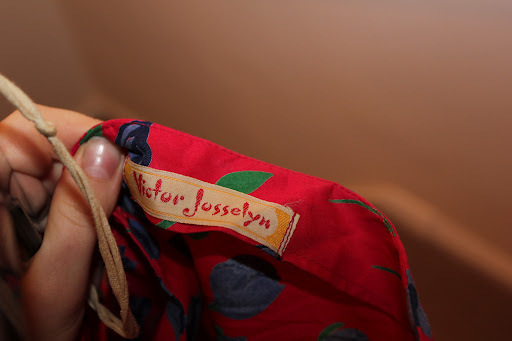 my perfect fit), the stunning tulip print, and the label (Victor Josselyn) I HAD to have it! 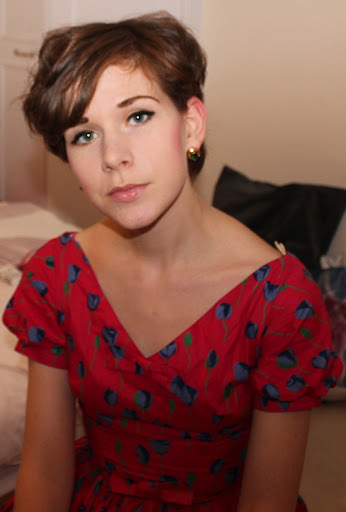 iI reckon its a very early 60s number. 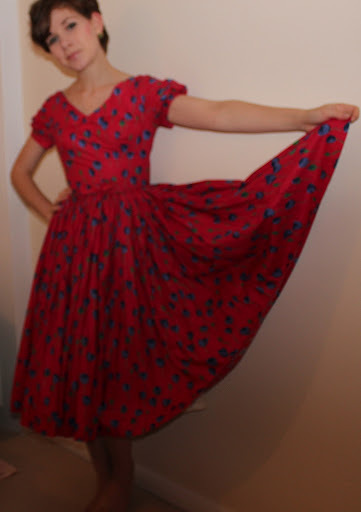 I have a few other Josselyns and they are always lovely quality cotton, this one didn’t disapoint. Sorry I couldn’t quite get the dress in its full glory i don’t have my tripod at the moment, and it is making photo taking a bit of a challenge! 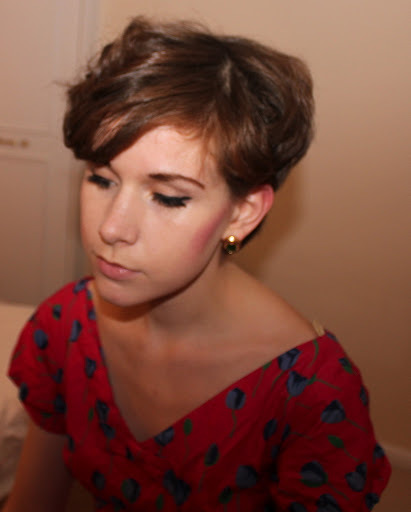 You can also look at my hair : ) As my hair is a bit long at the moment I’m liking a bit of crazy curlieness going on. 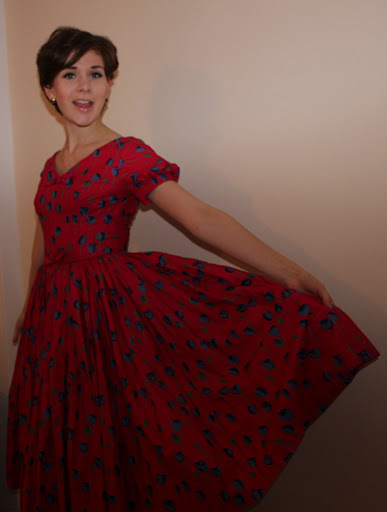 I LOVE Victor Josselyn dresses! I think they come 2nd to Horrockses for me. I saw this one too, but knew I'd have no chance of fitting into it. Looks gorgeous! What a gorgeous dress! I love buying vintage on Ebay but it gets more and more expensive every year. Some dresses are just worth every penny though! Truly beautiful! It is great to see pieces worn by someone who values the history and the aesthetic!